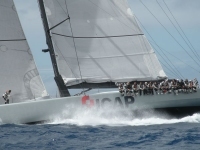 The RORC Caribbean 600, as the name suggests, is a 605 mile race around the Caribbean islands starting from Antigua. It was first run in February this year and attracted world wide interest. The 2010 race is due to start on Monday 22nd February and is already amassing a fleet of star studded boats and the best sailors from around the world. "It will be a quick turnaround at Hobart", commented Leopard's boat captain Chris Sherlock, "but we are determined to make the Caribbean Race because the beautiful trade wind conditions, blue sea, blue sky and guaranteed wind are the perfect conditions for a boat like Leopard". Also joining Rán and Leopard in the race will be the 80 foot Beau Geste whose owner Karl Kwok hails from Hong Kong and has a star studded line up of professional sailors with lots of America's Cup experience. From America we can expect to see two very competitive boats: The STP 65 Rosebud owned by Roger Sturgeon, who won the 2007 Rolex Sydney Hobart and will revel in these perfect conditions and Tom Hill's brand new Reichel Pugh 75 Titan will also be looking to stretch her legs in the wonderful conditions around the Caribbean. 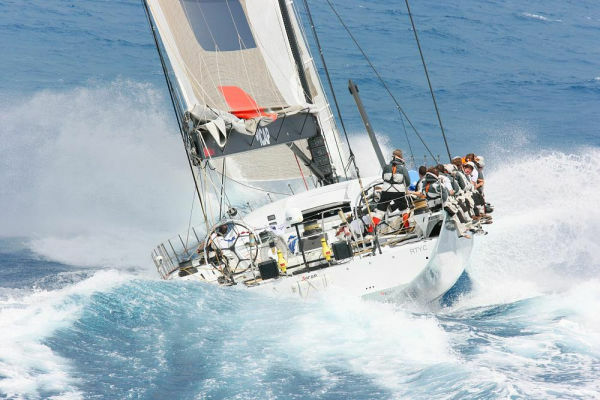 The next RORC Caribbean 600 Race will start on Monday 22nd February 2010. 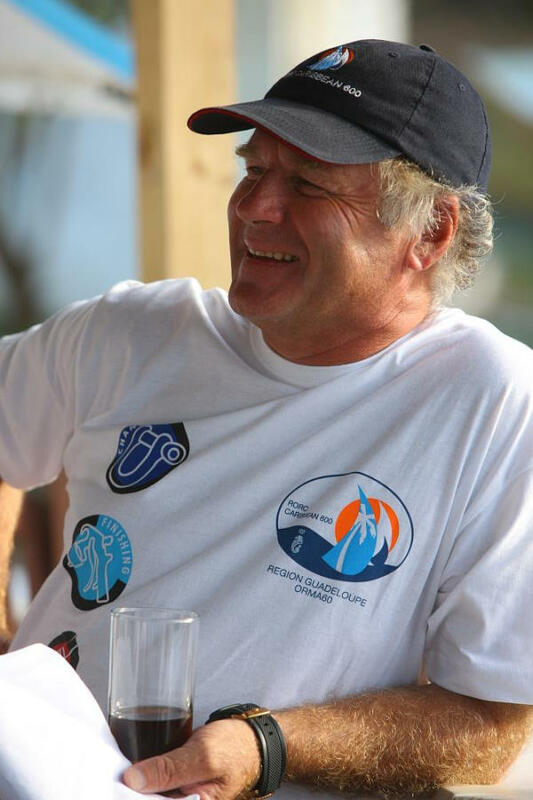 RORC members John Burnie and Stan Pearson are two well known characters in the yachting community in the Caribbean. They have often talked about an offshore yacht race, something that the Caribbean has never had, their plans devised over a few beers have now become a reality. The RORC Caribbean 600, in association with the Antigua Yacht Club, is now firmly established as annual event. 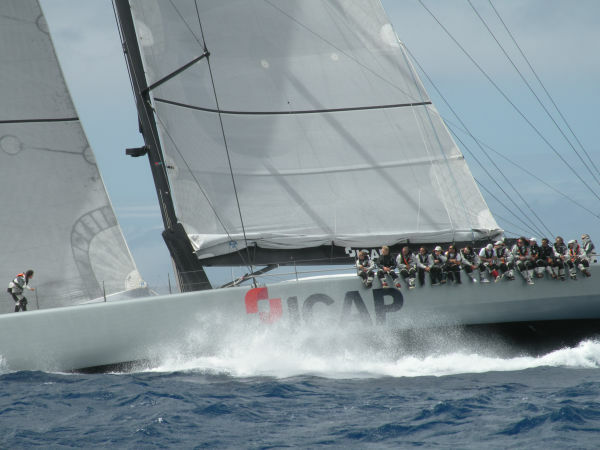 Mike Slade's 100ft Maxi ICAP Leopard came to Antigua with a clear target; to set a monohull record for a new offshore race, that task is completed. 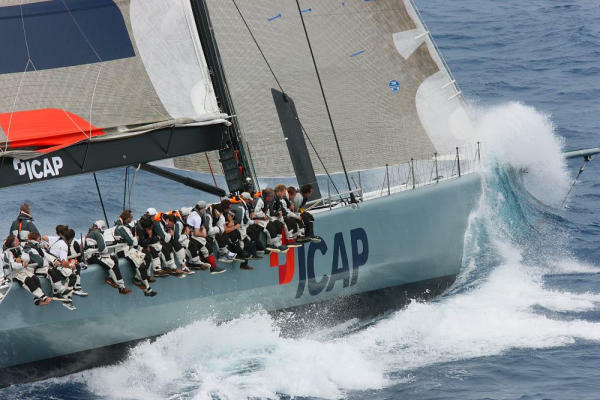 ICAP Leopard needed 44 hours 5 minutes 14 seconds to complete the race course for the first ever RORC Caribbean 600. 13 minutes less than they took to complete the 2007 Rolex Fastnet, a race of roughly the same length but of totally different conditions, this was a breezy race but t-shirts and shorts were the order of the day for competitors. 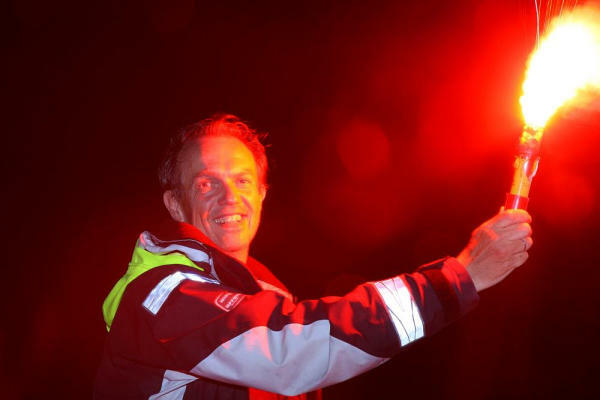 "A fantastic yacht race" commented ICAP Leopard's boatcaptain Chris Sherlock. "High speed sailing in warm conditions. We might have gone round a bit quicker if we hadn't snagged a fish-trap but if the breeze had been up a bit more then I reckon we could have taken a few hours off the time, let us hope we get some more wind next year." Danilo Salsi's magnificent Swan 90 finished the RORC Caribbean 600 crossing the finish line after dusk on Wednesday night, to claim line honours for a fixed keel monohull. Skipper Andrea Casale said: "This is our first race and we are still learning how to sail the boat to its potential, all of the crew have enjoyed the experience, the race course is fantastic; always interesting. We would love to see more Italian boats here next year." There was high tension later that evening as Adrian Lee's Cookson 50, Lee Overlay Partners, was approaching the finish. It was pitch black, just after midnight on Thursday morning. Lee Overlay Partners took the gun, in an elapsed time of 60 hours 45 minutes and 40 seconds. It was soon confirmed that the Irish canting keel Cookson, from the Royal St.George Yacht Club was leading overall, under IRC with a small possibility of being beaten by a local boat, Bernie Evan-Wong's Mumm 36, Café Americano High Tension. "This says it all - fetching to Guadeloupe at 18 kts....All well - this can't be offshore racing, if it is so nice?!" commented Adrian Lee in his boat blog, obviously enjoying the sleigh ride, through the Caribbean. "I want to promote Irish offshore sailing that is why we race all over the world and what better way to do that than to compete at the RORC Caribbean 600." Mike Slade's 100ft Maxi, ICAP Leopard, leads the monohulls by over 70 miles on the water, ICAP Leopard looks untouchable, as the powerful speed machine left them far behind within hours of the start. Slade and his crew extended virtually the whole way around the course. Looking at a snapshot of the race course on the RORC Caribbean 600 Race Tracker, 0900 on Tuesday morning (GMT+4), the 24 boats are spread out, right across the Caribbean. In Mike Slades blog from ICAP Leopard, he describes his thoughts on the race so far. "Any ideas that this race was a holiday jaunt out of Antigua have now been binned! A cracking start into heavy seas soon dispelled any thoughts of an easy trip. "...and later... "To enjoy a fabulous evening sail along the southern coast of Nevis and St Kitts. Flat water and 20 knots plus boat speed was as good as it ever gets and the reason why we were keen to support this RORC initiative, around what is undoubtedly one of the best yacht race tracks in the world." The Caribbean is due to serve up some sublime sailing conditions for the inaugural RORC Caribbean 600, the competitors are expecting to blast around the course in big breeze, warm seas and ocean swell. At the Skipper's briefing held at Antigua Yacht Club, RORC Racing Manager, Ian Loffhagen, fine tuned the racing instructions to a highly experienced audience including sailors from the Olympics, America's Cup and Volvo Ocean Race. Afterwards, a reception was held on the lawn to sample some of the local fayre. The Hon. Harold Lovell, Minister for Tourism for Antigua and Barbuda, gave a warm welcome to all of the guests and Antigua Yacht Club Commodore, Elizabeth Jordan, announced that all of the facilities at the yacht club would be open 24 hours a day during the race, not surprisingly this got a loud roar of approval! The race course around the Caribbean is the ultimate sailor's playground, apart from two short beats, the fleet will enjoy fast downwind conditions. By day the yachts will criss-cross between the tropical islands and by night they will sail under a carpet of stars. RORC Commodore; Andrew McIrvine is racing on David Aisher's Rogers 46, Yeoman XXXII commented; "We went out for a shakeout today and had a ball; 20 to 25 knots of breeze and some big waves, we were trucking along, touching 18 knots with very little canvas up; a reef in the main and a No. 4. These are the conditions we came here for and we are relishing the prospect of some fantastic racing come Monday." A new exciting offshore race is born, the inaugural RORC Caribbean 600 kicked off at 1100 local time. Solid breeze from the east nudging 20 knots rising to over 25 knots in the squalls was the order of the day but the big factor was the sea state; long rollers some as high as four metres tested the driving skills to the maximum. First away were all of the monohulls bar the IRC Super Zero Class. David Aisher's Rogers 46, Yeoman XXXII, got a great start, choosing to take the island shore they looked to be lifted and within seconds they were in clear air ahead of the fleet. Next away was the big boat fleet, IRC Super Zero, Mike Slade's 100ft Maxi, ICAP Leopard, was on starboard but was shy of the line as Danilo Salsi's Swan 90, DSK Pioneer, nailed the start. ICAP Leopard was not behind for long, blasting through the waves like an express train to pass the Swan 90. On the 23rd February, the inaugural RORC Caribbean 600 will start from English Harbour in Antigua, West Indies. 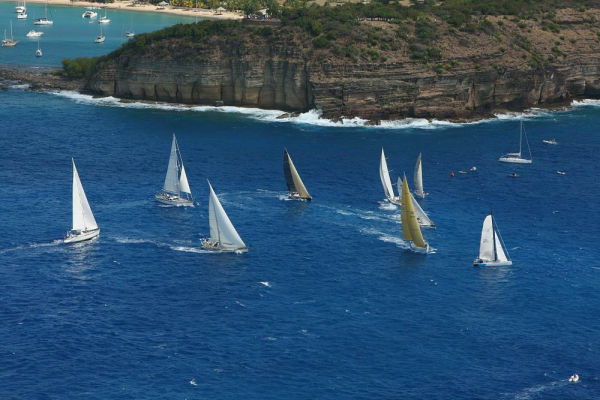 Offering perhaps some of the best sailing in the world, the 605 nautical mile yacht race zigzags north as far as St Marten and as far south as Guadeloupe. 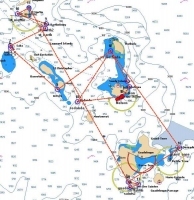 It will be a tough test for the yachts, the navigators and the crews. Organised by the Royal Ocean Racing Club in association with the Antigua Yacht Club, the race has attracted a fleet of close to 30 boats, including some of the world's most prestigious yachts. The biggest yacht is Peter Harrison's 115ft Farr designed, Sojana, skippered by Marc Fitzgerald. 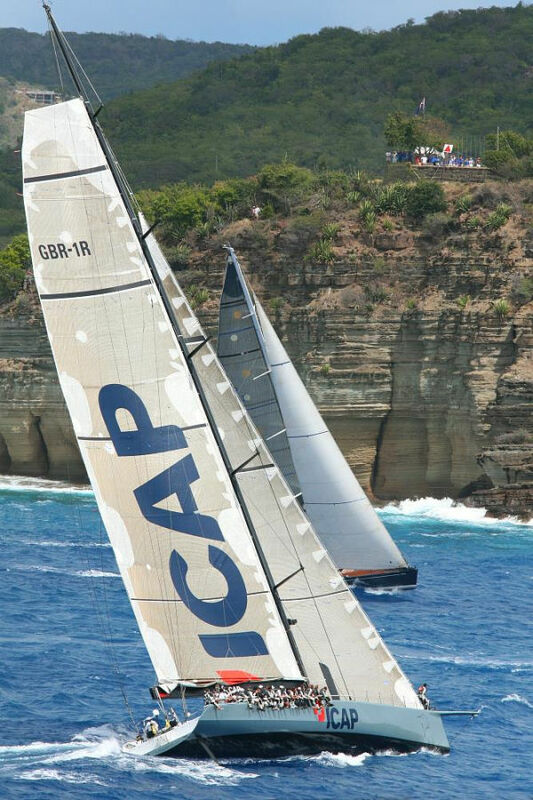 Mike Slade's 100ft Maxi, ICAP Leopard, will be looking to set a course record for a monohull and add to the 11 records the boat currently holds. The fastest boat around the track is most likely to be the ORMA 60 chartered by John Burnie, Region Guadeloupe, which should fly around the course in less than 35 hours! However, the Gunboat 48, Cream, will be tough to beat. This state-of-the-art carbon fibre catamaran is skippered by Cam Lewis, a past winner of the America's Cup and the Jules Verne Trophy. The smallest yacht in the race is Bernard Evan-Wong's Mumm 36, High Tension. Evan-Wong runs a busy dental practice in Antigua but has also competed in over 20 Antigua Sailing weeks. With that sort of knowledge, he will certainly know his way around the course. 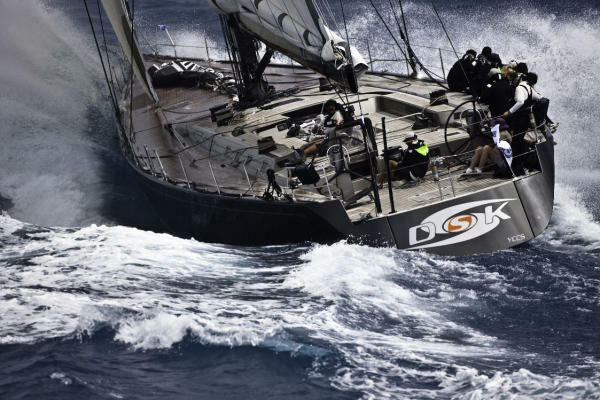 Swan's make up the biggest class: From Italy the new Swan 90, DSK, owned by Danilo Salsi is definitely not here to cruise the course and will be pushed to the limit by a top Italian race team. Wijnand Van den Boogard's Swan 51, Star Chaser, is the smallest Swan of a majestic fleet. 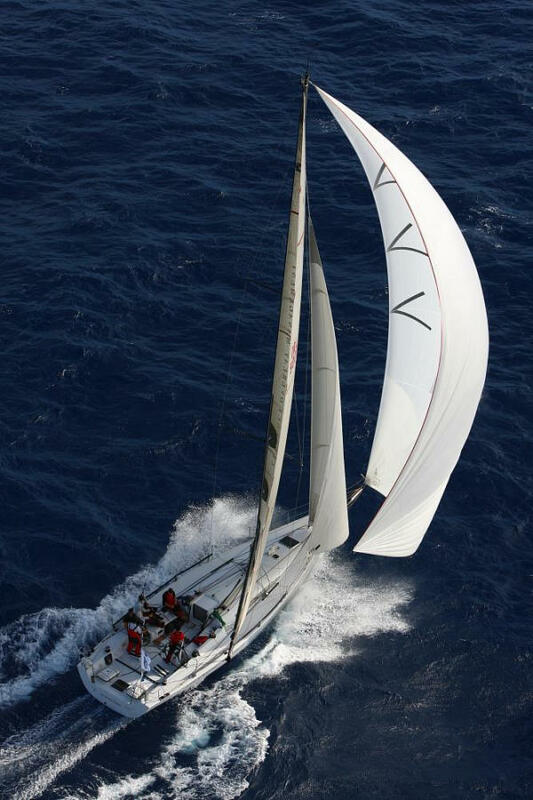 The RORC Caribbean 600 was the idea of a group of members based in the Caribbean. The inaugural race will take place on the 23rd February 2009 starting and finishing in Antigua. The race is already attracting an exciting field of competitors. The seminar is being held to assist the interested french-speaking competitors and will have speakers from the original organising committee explaining aspects of the Offshore Special Regulations, Rules and the Course. The evening will be hosted by Jean - Michel Marziou - Commodore of the Yacht Club, in association with the Triskell Organisation. Help with interpretation will be supplied by Andrew Dove. The Royal Ocean Racing Club and Antigua Yacht Club will run the first offshore race to circumnavigate the Caribbean Islands. This exciting new race will be called the RORC Caribbean 600. 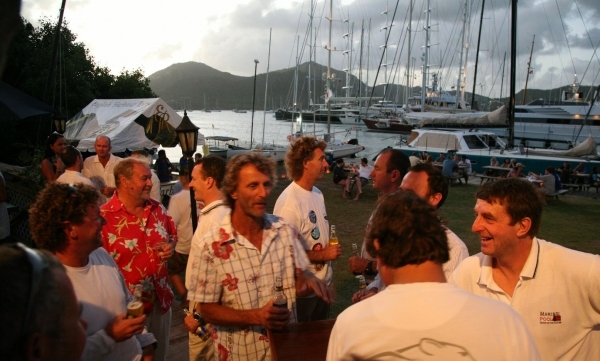 Conceived by a group of RORC members living in the Caribbean, the race starts on the 23rd February 2009 off Fort Charlotte outside English Harbour, Antigua. 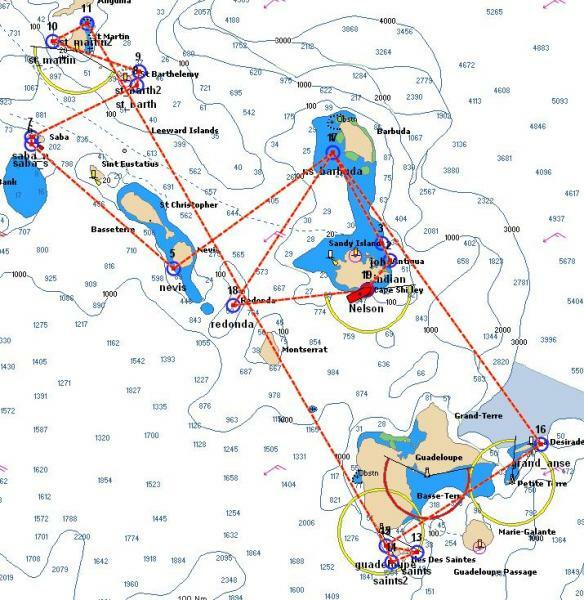 The course takes the fleet to the north passing a mark off Barbuda, the islands of Nevis, Saba and St Barths, to circle St Martin before heading down to Guadeloupe as the most southerly point, then back up to a mark off Barbuda before returning to finish in Antigua. A total of 605 nautical miles.